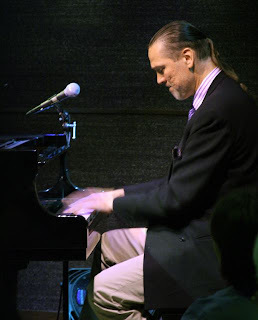 Pianist Jon Weber is a prodigious and profligate quoter. While playing one tune, he’ll toss in phrases from others—sometimes many others, and they're not always jazz tunes. He has a vast library of all kinds of songs stored in his head and I imagine tiny creatures running around up there, pulling volumes from shelves at a furious pace and tossing them down to other tiny creatures waiting at Weber’s fingertips. Read a review of a Jon Weber show at the Artists' Quarter in January. The E Family Featuring Sheila E.